Geoloqi, a platform for real-time location services, launched in February promising to give developers a simple way to add background location tracking and geo-fencing to their apps in a simple and battery efficient way. Now, the Portland, Ore.-based company is teaming up with developer tool provider Appcelerator, who will make a Geoloqi module available for its Titanium 2.0 platform. The partnership has the potential to kickstart a lot more location-aware apps. Appcelerator has 1.6 million iOS (s aapl) and Android (s goog) developers, who use Titanium to create apps. Now, they can drop in Appcelerator’s tool kit into their apps to enable geo-triggered events. For example, apps with Geoloqi can understand when someone has entered or left a predefined geo-fence — say, a coffee shop — using carrier signals, GPS, Wifi and indoor tracking systems. The apps can track a person’s location and push out messages or trigger actions based on where they are. 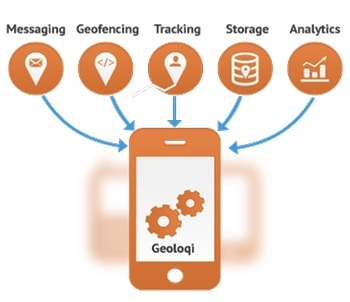 Geoloqi can also provide app developers with location and dwell-time analytics on users. Geoloqi made its first iOS and Android SDKs available in February, but the integration with Appcelerator opens up the service to a large existing community of developers who use Titanium to speed up their app development efforts. Appcelerator is giving new Titanium developers a two-month free trial when they register and download the Geoloqi Titanium module before the end of June. The Appcelerator integration is the first partnership to go live for Geoloqi. It has also inked deals back in March with data aggregation platform Factual and Locaid, a carrier location platform.